If you are an IT Professional and looking for a breakthrough performance to accelerate your organization’s business and enable new, transformational scenarios; or if you want to see how to create dashboards, reports and also explore new Power BI Designs. This is the session for you. REGISTER NOW! I’m really glad to announce that I’ll be speaking at Tech-Days Tunisia 2012. 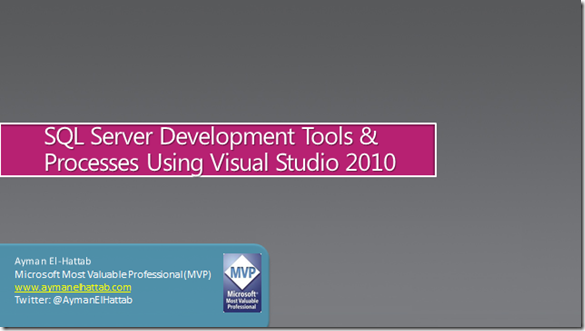 My session will be in the 2nd day and titled “Visual Studio 2010 & SQL Server, Better Together”. SSRS Issue : Integers repeat on value axis! Yes, this is a non-SharePoint post, but it’s about a bug in SSRS that really irritated me. In the project that I’m currently working on, I was asked to create some reports that measure the number of contributions of portal users in SharePoint lists and libraries. I’ have chosen to use SSRS 2008 and since I’m counting the number of contributions, I have set the format for the captions on the value axis to Number with 0 decimal places since decimals do not make sense in my situation. The chart is parameterized to the values on the value axis vary from small numbers to large numbers according to the passed-in parameter value. As shown above, the integers on the value axis get repeated since SSRS decides that the axis should display 0, 0.5, 1, 1.5, 2, 2.5, 3,3.5,4. And since I have set the decimal places to zero, this ends up being displayed as 0, 1 , 1 , 1 , 2 , 2 , 3 , 3 , 4 , 4 . Create a bar chart in SSRS. Make sure that the passed-in parameter value leads to small values where the maximum is 4 as shown above. 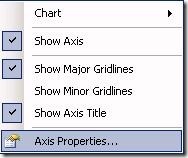 Set the value axis number format to Number with zero decimal places as shown below. View the chart using your browser or in Visual Studio. 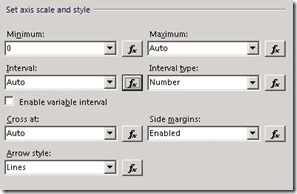 Set the interval to be dynamic from the value axis properties. 1. Each integer appears only once on the value axis.